Having spent the last four years gainfully employed at the British children’s reading charity Read for Good, it felt odd this year to be counting down the days to March (as I always do) without having to consider my World Book Day workload. For those not familiar with World Book Day, it’s a UNESCO-led global celebration of reading which children take part in all over the, er, world. Perversely, the UK celebrates it on a different day to the rest of the world, as the official day, April 23rd, usually clashes with British school holidays. Read for Good helps schools run a Readathon Sponsored Read by providing a colourful box of tricks free of charge. This enables teachers to get an easy tick on their World Book Day action list while actively enthusing their pupils to enjoy reading. The children choose what they want to be sponsored to read – much more motivating than reading what’s on their curriculum – and friends and family sponsor them. Most of the sponsorship money goes to help seriously ill children, partly through Read for Good’s fabulous ReadWell programme. The school also earns a book voucher to buy new school library books to the value of 20% of the total raised. What’s not to love about Readathon? But unlike World Book Day, Readathon isn’t a once-a-year opportunity. Schools can run a Readathon any time of year that suits them – and they do. Some even set it as a school holiday challenge. 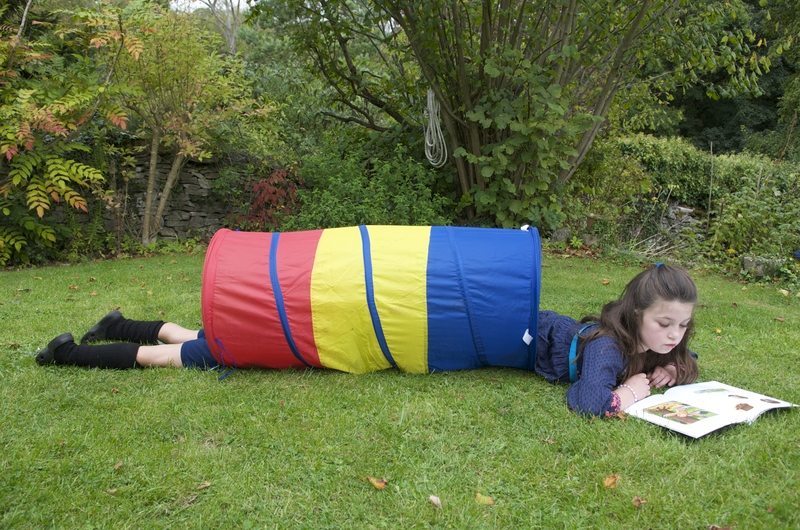 Around 3,000 school Readathons take place every year, benefiting seriously ill children. These children are helped partly through the charity’s ReadWell programme. ReadWell sends free books and storytellers to children in hospital all over the UK, making life better not only for the children but also their parents, carers and siblings. Getting lost in a good book is a great way to while away time in hospital and escape from pain, fear and anxiety surrounding hospital procedures. Even though I left Readathon last autumn to concentrate full-time on my writing, I’m still flying the flag for recreational reading, for both children and adults. Tomorrow I’ll be going into the village school that my daughter attends to get involved with their World Book Day celebrations. Hawkesbury Primary School has invited members of the community to come in to tell the children about their favourite books from their own childhood. 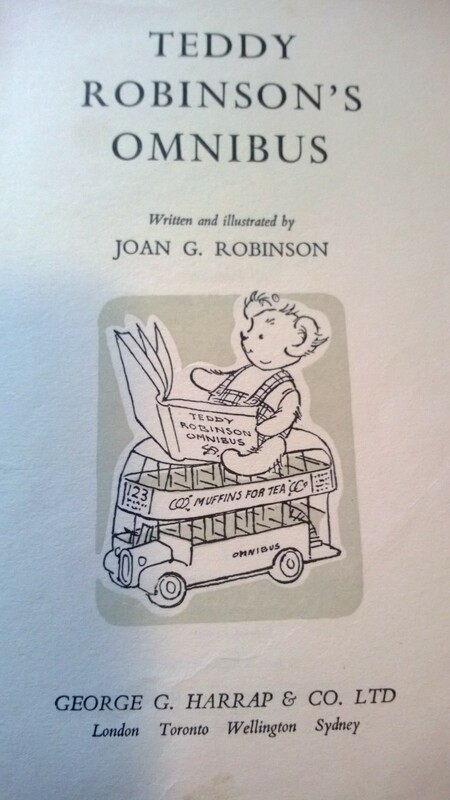 Mine was Teddy Robinson’s Omnibus by Joan G Robinson, whose central characters were a little girl called Deborah and a teddy bear that looks remarkably like my own. (Hmm, I wondered why I liked that book best?) 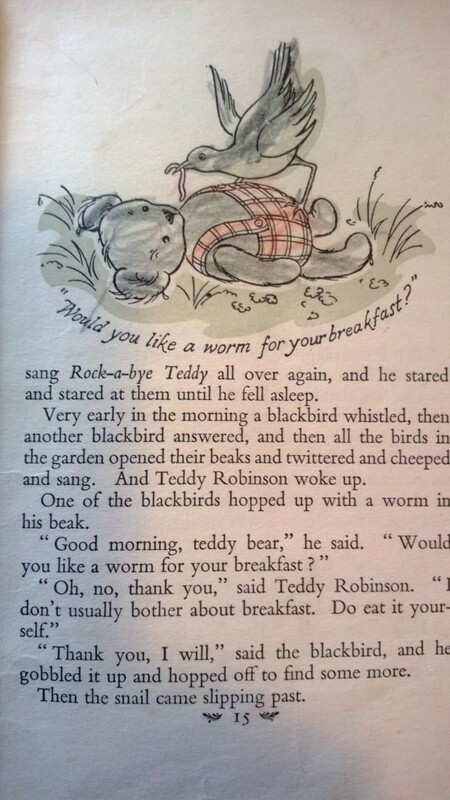 I still have both the bear and the book, which displays evidence of my early hands-on approach to reading – some enthusiastic colouring of the line drawings in wax crayon. After the school book-sharing session, I’ll be setting up a second-hand book stall in the school hall enabling the children to buy books at pocket-money prices to foster their own love of reading. It’s wonderful to think that tomorrow some of them may also find treasures they’ll still remember when they’re grown ups. I must admit I still adore children’s books, which is one reason that I write a regular review feature in Today’s Child Magazine. 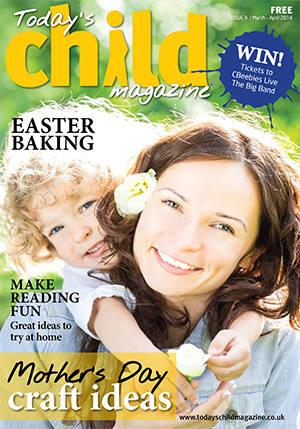 For this issue, I’ve also written an article called “Make Reading Fun”, as featured on the cover. To read it, click on this link and flick to pages 12-13. (My book reviews are on pages 20-21). But I’m also glad that there’s an equivalent for adults coming up soon: World Book Night, which even in the UK will be celebrated on the official day of April 23rd. World Book Night is a completely different event from World Book Day (yes, it is confusing!) More about that event nearer the time – or you can check out its website, www.worldbooknight.org. Wondering how to celebrate World Book Day? Just share a good book with a child that you know. And to help other children throughout the UK, please consider making a donation to help ReadWell continue its good work, sharing the joy of books with children in hospital every day of the year. Donations may be made direct on ReadWell’s donations page here. No donation is too small.